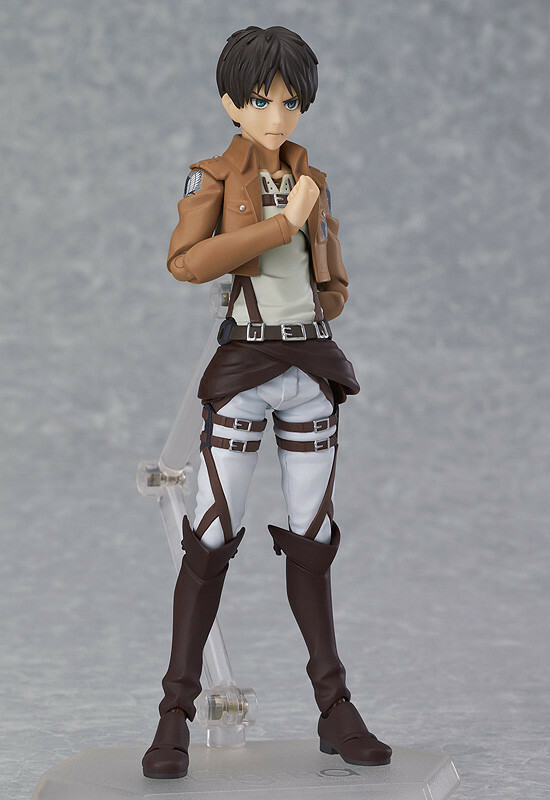 A second release of figma Eren Yaeger from the anime series 'Attack on Titan'! 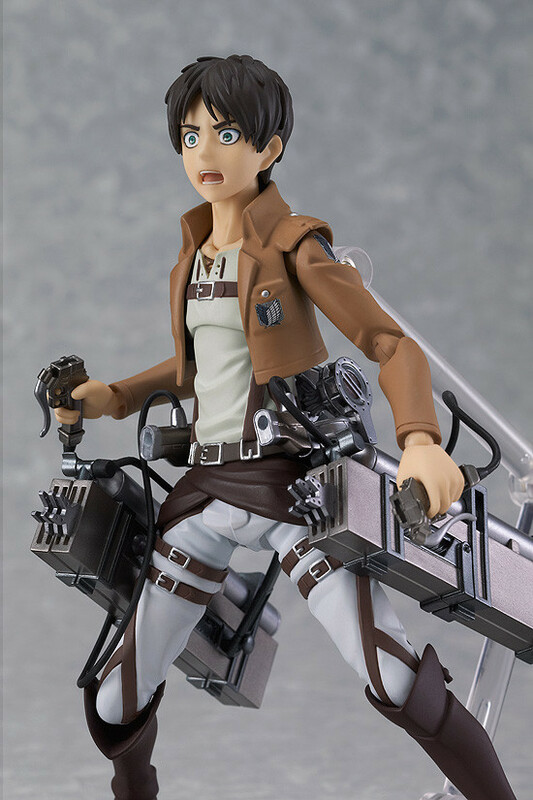 He comes with three expressions including his standard determined face, an angry face and a shocked face. His dual blades are included for combat scenes, along with his Vertical Maneuvering Equipment and smoke effects to recreate its use. 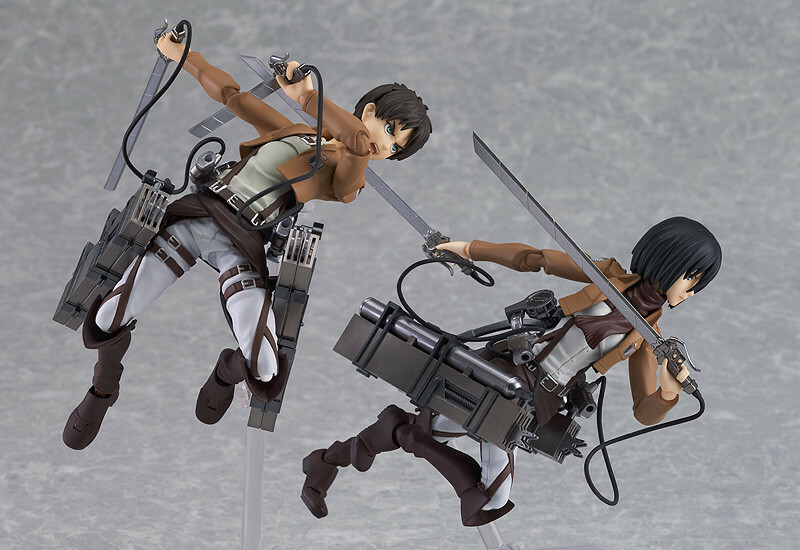 *figma Mikasa Ackerman is not included. 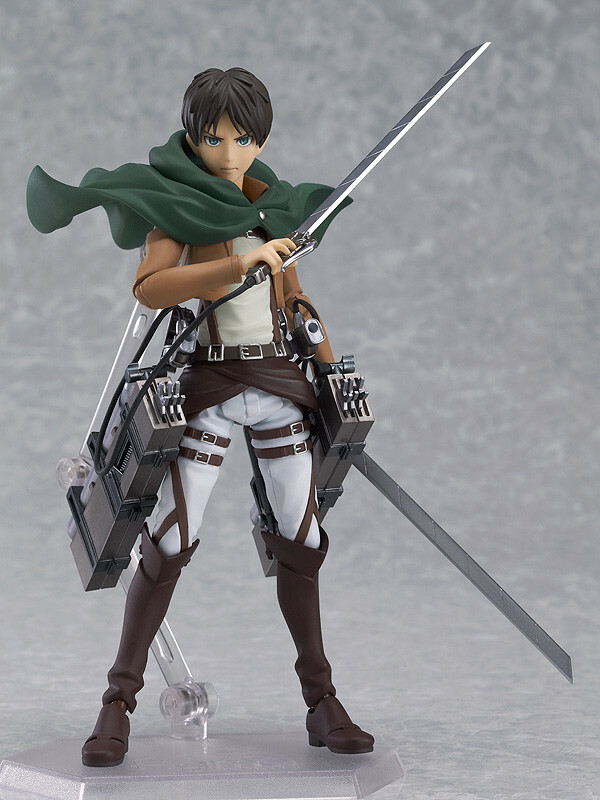 figma Eren Yeager Preorder Campaign! 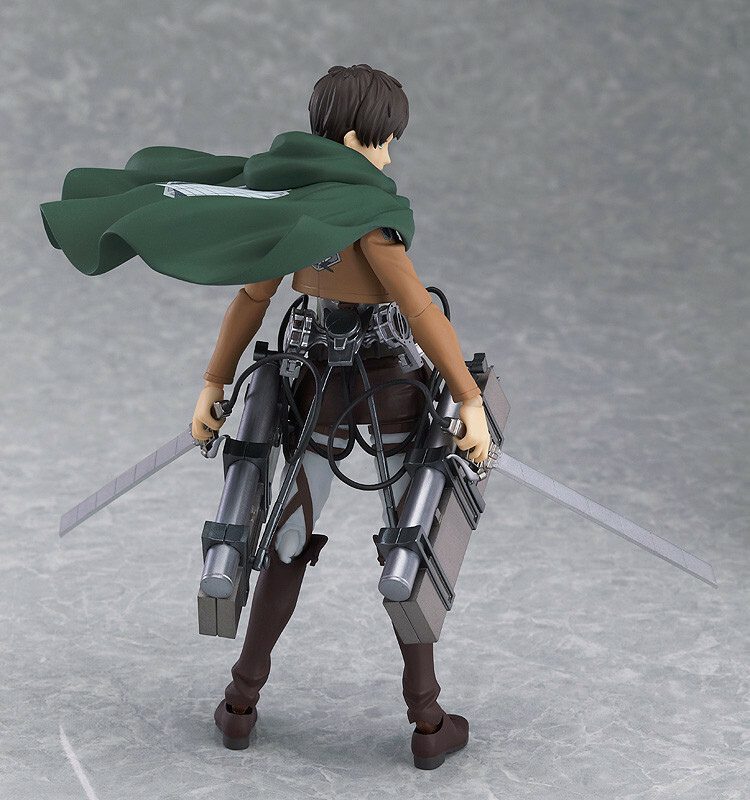 Preorders from the GOOD SMILE ONLINE SHOP. * Bonuses will be sent or sent with the product at it's time of release, not at the time of order. * The final product may differ to the photo shown here. * The di:stage arm to hold the stand at an angle is not included. 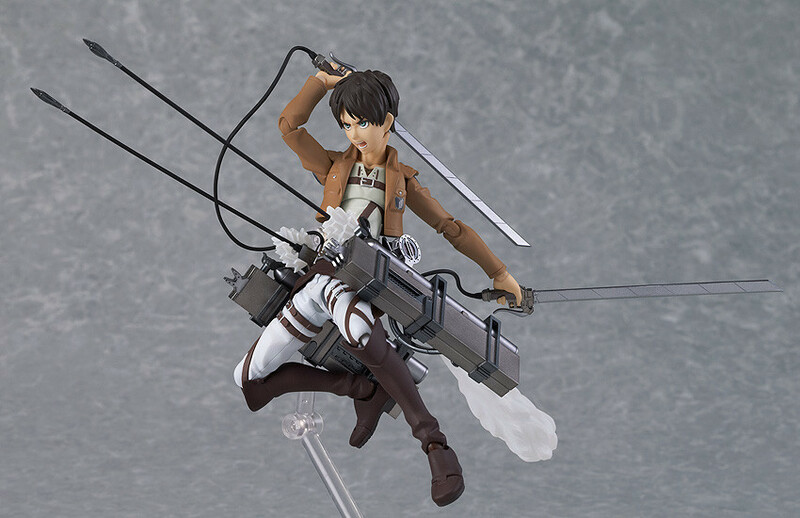 * figma Mikasa Ackerman is shown for illustrative purposes and is not included.